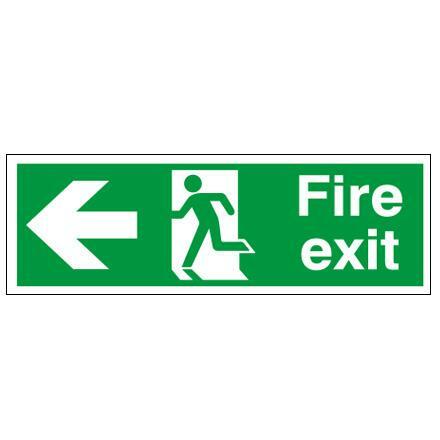 Fire Exit Arrow Left. Available in 1.2mm rigid polypropylene or self-adhesive vinyl. 150mm x 450mm. Used to identify escape routes.